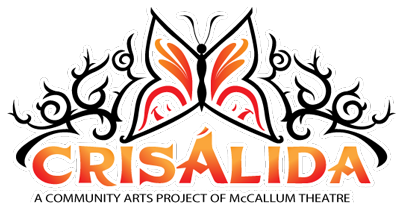 Crisálida: Community Arts Project | Run De Los Muertos in Coachella! 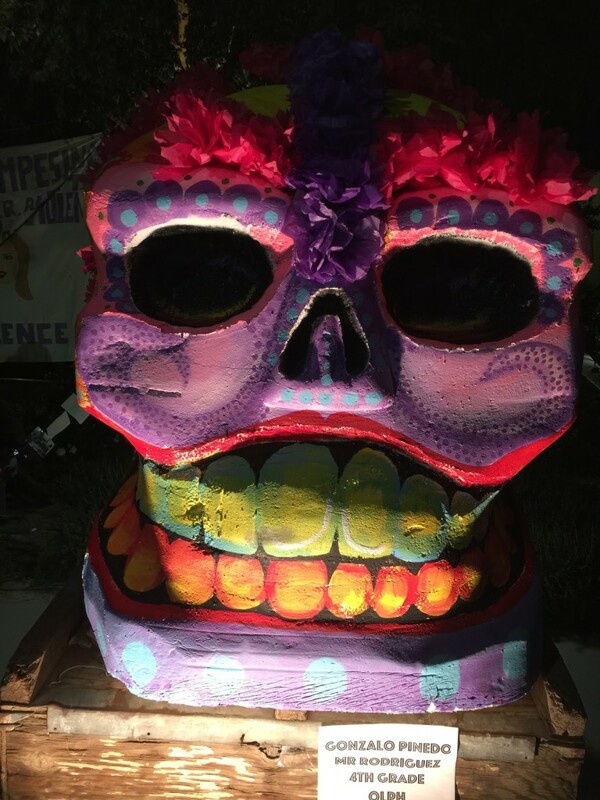 Run De Los Muertos in Coachella! 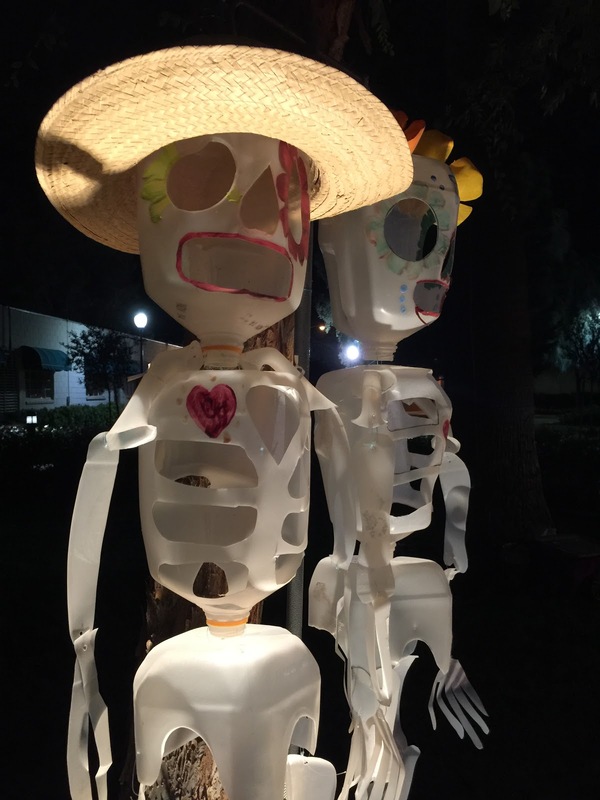 17 Nov Run De Los Muertos in Coachella! The Run De Los Muertos event was impressive on many levels. If you have loved ones that have passed then you would be touched by the beautiful expressions of love and appreciation shown in the beautiful altars that were built in their honor. 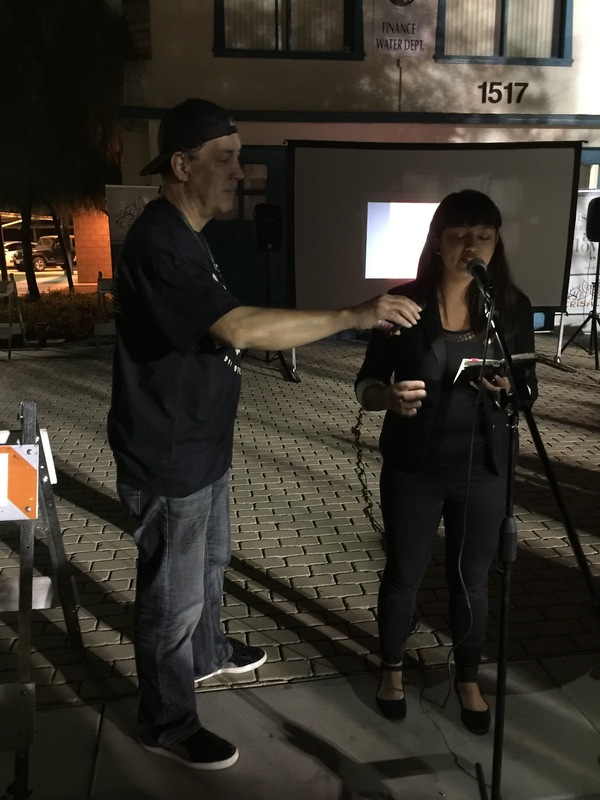 If you are a lover of art then you would be in for a real treat because artistic expression was everywhere at this event. Poetry, song, art, beautiful altars, and children’s painted faces were present all around. 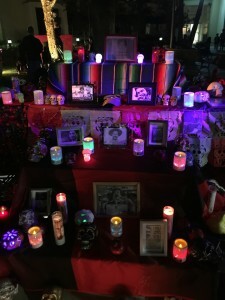 Look at these memorable pictures and see for yourself how festive and touching it was. 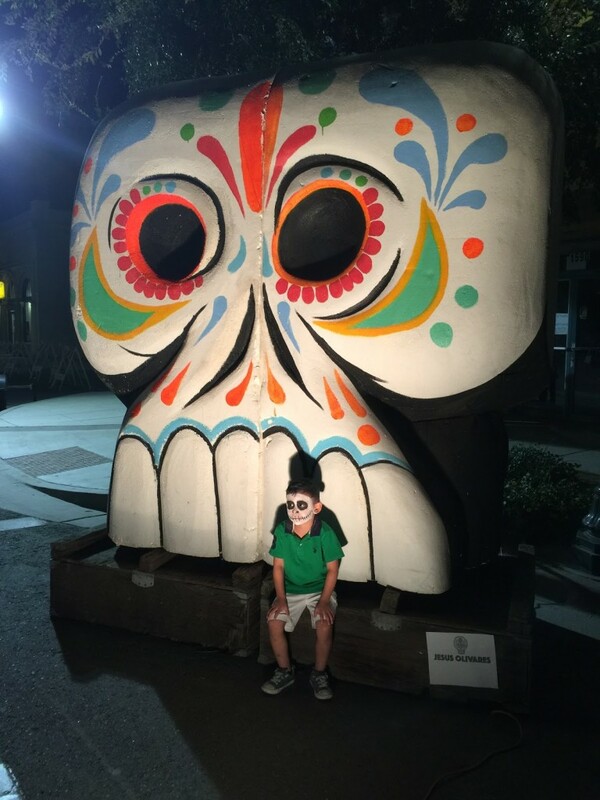 The size of this Calavera is huge. 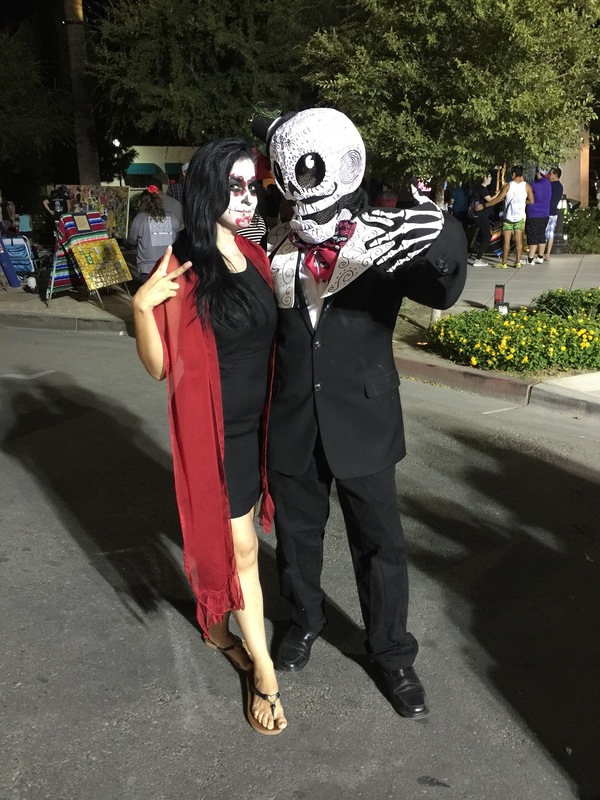 The originality of these Day of the Dead costumes is awesome! 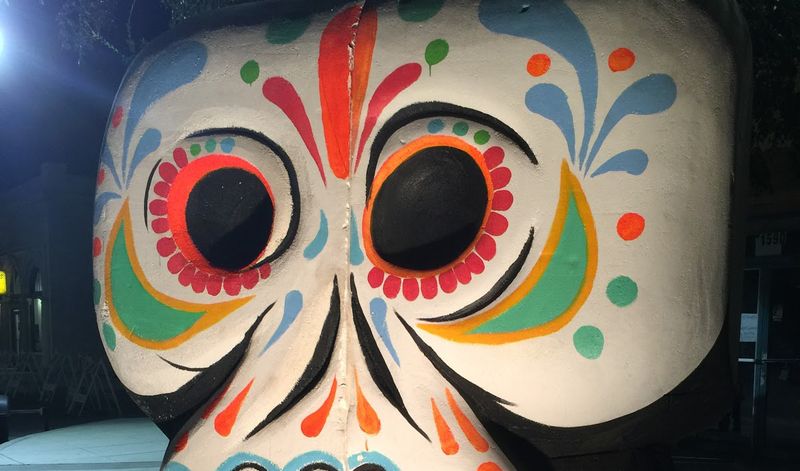 Sofia Enriquez was able to create a beautiful painting on the back of her calavera. Did a 4th grader really create this? Congratulations Gonzalo! This is just beautiful to look at. The dynamic poetry was a bright spot in the evening. Coachella does it again! 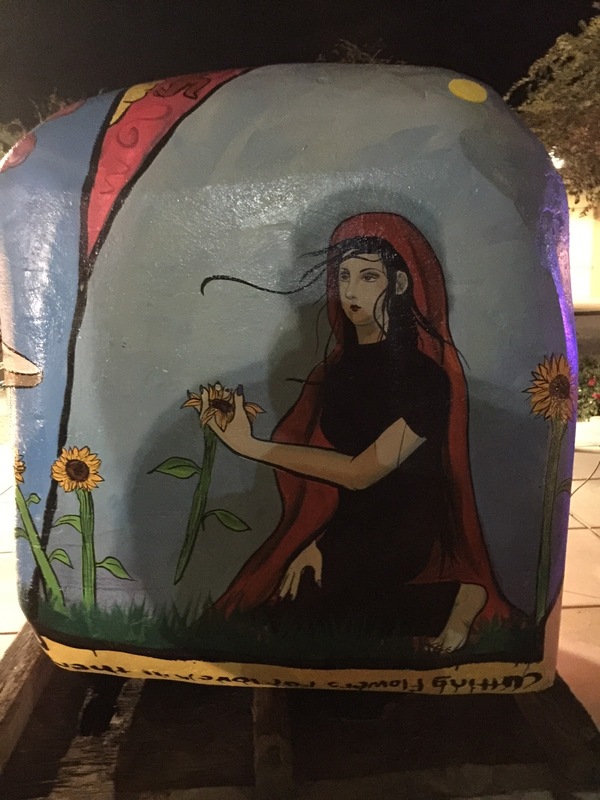 This beautiful altar was created by Carlos Galaviz.